The Connecticut Audubon Society’s Center at Fairfield will be transformed into a rustic mountain lodge for Adirondack Night on Saturday, March 2. 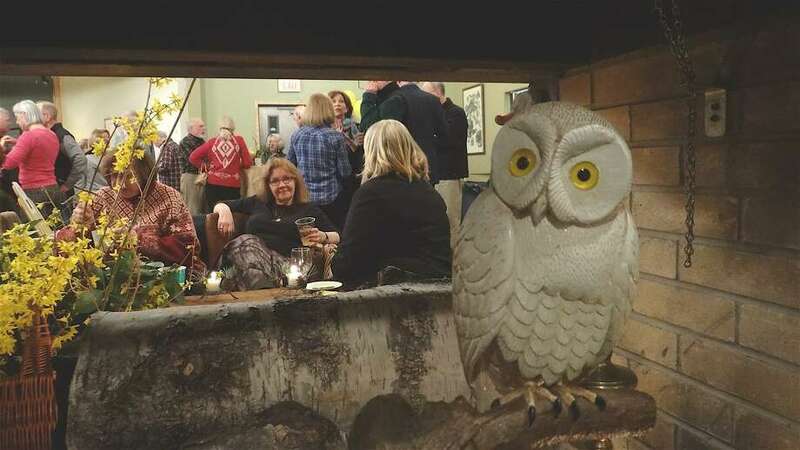 FAIRFIELD — Shake off the winter doldrums and escape to the north woods of Fairfield when The Connecticut Audubon Society’s Center at Fairfield hosts its annual Adirondack Night fundraising celebration on Saturday, March 2, from 6 to 9 p.m. The “Howl at the Moon” theme sets the tone for a fun, casual evening featuring hearty food, local craft beers and foot-tapping music. Guests will enjoy a unique Adirondack experience as the Center on Burr Street is transformed into a rustic mountain lodge. Traditional favorites of the evening will be back including Audubon’s famous chili, a hearty buffet, music by The Merwin Mountain Band, open bar and local craft beers provided by Two Roads Brewing Company. In addition to silent and live auctions at the event, Black Rock Galleries of Bridgeport will conduct an online auction where items can be bid on during the event or from the comfort of home. Staff naturalists also will be present with some of the Center’s resident animal ambassadors to welcome guests. Adirondack Night takes place at the Center at Fairfield, 2325 Burr Street in Fairfield. To be transported to the wilderness, ticket prices start at $75 per person. This special evening, with sponsorship from TVEyes, Inc., raises crucial funds to support the conservation and environmental education programs at the Center at Fairfield. More information about the event, the online auction and purchasing tickets is available at: ctaudubon.org/Adirondack-2019, or by calling 203-259-6305, ext. 109.